The W.Howard Group acquired Balcas Kildare Ltd in November 2016 forming a new company W.Howard Kildare Limited. The site in Kildare has been manufacturing MDF profiles since 1988 and has been an innovator in the sector with its primed MDF profile brand 'Fable' and more recently with the launch of KOTA™. With a loyal customer base and a strong reputation, the opportunities for growth as part of the wider Group are significant with customer focus as the driver. 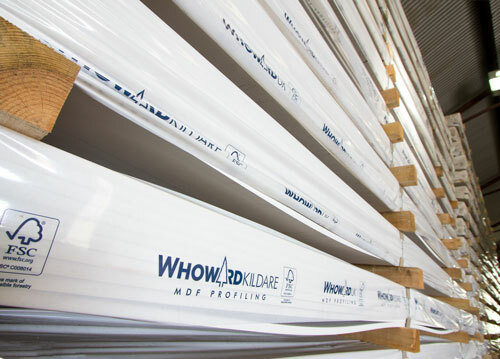 The workforce at W.Howard Kildare are highly skilled and knowledgeable regarding the manufacture and supply of MDF profiles, with the added bonus of being able to manufacture and supply KOTA™. 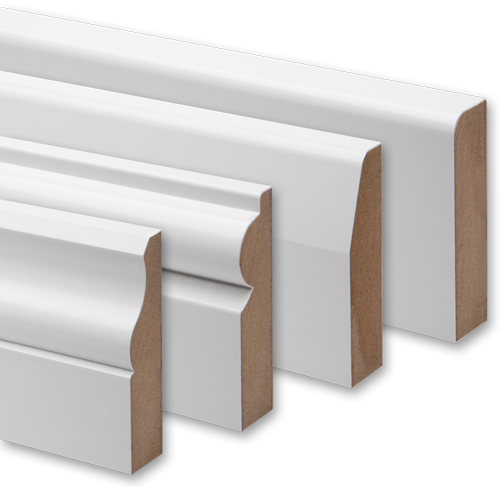 KOTA™ is a patented system of MDF profiling which is exclusive to the Irish plant. It is a factory finished, tough, impact resistant solution. Unique to KOTA™ is the application of advanced Eastman Cerfis™ Technology to create interior profiles with a unique white smooth coating that doesn't need painting. Take a look at our KOTA™ WEBSITE. Recent new investment into the Kildare site, has seen the replacement of a single pass line with a new MAKOR production line. This brings a potential increase of around 80% to the Group capacity. It also significantly reduces lead times and expands the reach of the Group across the UK, Ireland and Europe.